Crispy fruit preserving texture aroma near to original, Gluten free snacks & Iron-Calcium fortified nutri bar for combating malnutrition. The Council of Scientific & Industrial Research (CSIR), known for its cutting edge R&D knowledgebase in diverse S&T areas, is a contemporary R&D organization. Having pan-India presence, CSIR has a dynamic network of 38 national laboratories, 39 outreach centres, 3 Innovation Complexes and 5 units. Situated among pristine environ in the lap of Dhauladhar ranges, CSIR-IHBT is the only laboratory of the Council of Scientific and Industrial Research in the State of Himachal Pradesh (H.P. ), India. Institute has a focused research mandate on bioresources for catalysizing bioeconomy in a sustainable manner. Cp*Co(III)-Catalyzed Alkylation of Primary and Secondary C(sp3)-H Bonds of 8-Alkylquinolines with Maleimides. Scholars of CSIR-IHBT Palampur organised second annual seminar on the theme “Expanding Scientific Horizons- from basic to translational research” at S S Bhatnagar Auditorium of the Institute. Prof Kashmir Singh, from Panjab University Chandigarh, who is also an alumnus of CSIR IHBT, was the keynote speaker who delivered a talk on the importance of long non-coding RNAs in regulating gene expression in Vitis vinifera. Total 22 Research Scholars presented their research work, which pertained tovarious aspects like next generation genomics, molecular regulation of genes, nonmaterials in health care, agrotechnologies, microbial prospections, bioresources assessment etc.The presentations were evaluated by a 5 expert penal. Threewinnerswereselected at the end of the seminar - SrijanaMukhia (Ist), Gopal Singh (2nd) and Bharti Barsain (3rd). Other activities like quiz contest, best photograph of the campus and a tag line for this seminar series was also organised. This mega eventwas sponsored by 10 national companies. A group of 27 medicinal and aromatic plant professional and practitioners from different parts of Nepal visited CSIR-Institute of Himalayan Bioresource Technology, Palampur. The main objective of the visit was to have exposure on MAPs cultivation, harvesting and post-harvest handling including storage, product development, diversification, and value addition in India. While addreesing the delegates, Dr Sanjay Kumar, Director of CSIR-IHBT, Palampur said that climate of Nepal and Himachal Pradesh have similar agroclimatic conditions and hence most of relevant the technologies, developed at CSIR-IHBT, can be replicated in Nepal for the upliftment and livelihood generation of Nepali people. Dr RK Sud, Senior Principal Scientist, described in detail about the Institute activity on medicinal and aromatic plants and about the CSIR-Aroma mission in which more than 5,500 hectares of area is being brought under aromatic crops in India in the next two years. Dr Rakesh Kumar, Principal Scientist, apprised the delegation about high value crops such as damask rose, rosemary, jatamansi and stevia which has huge potential and can be grown successfully in tarai and hilly areas of Nepal. 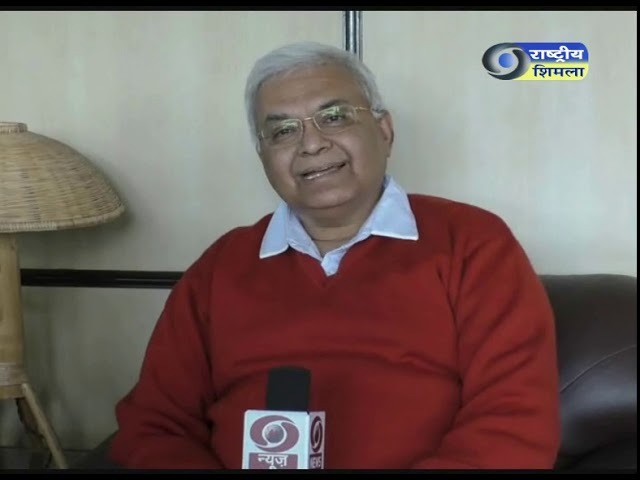 Er Mohit Sharma, Chemical engineer, discussed in detail about value addition of aromatic crops and their processing techniques. Dr Navin Raj Joshi, the cluster coordinator of ANSAB and Mr L P Subedi Programme Officer of German funded project Deutsche Gesellsxchaft fur Internationale Zusammearbeit (giz) strongly believed that the exposure visit provided them opportunities to share and learn about the success cases of MAPs that motivates to further expand the MAPs cultivation, develop and diversify the products and enhance market linkages. ANSAB is committed to biodiversity conservation and livelihood improvement in South Asia. It places community empowerment and economic incentives at the heart of its approach, and has been consistently evolving, consolidating, institutionalizing and advancing the approaches and strategies for the promotion of community-based enterprises and value chains, natural resources management and biodiversity conservation, enabling policy environment and multi-stakeholders collaboration. ANSAB, Nepal and CSIR-IHBT, Palampur will jointly collaborate on future prospection of medicinal and aromatic crops and other relevant technologies for Nepal. Capacity building & skill development of prospective farmer groups, community based organisations (CBOs) such as Self Help Groups, Federations, Clusters, Farmer Producer Groups, Farmer Producer Companies, Cooperatives and other Stakeholders in the area of value addition of food, fruits (especially low chilling apple variety), spice crops and vegetables, apiculture (modern techniques of honey processing), bamboo processing etc. 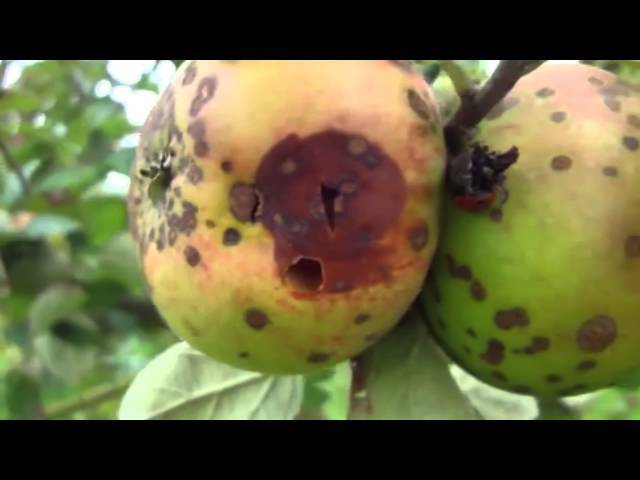 Cultivation and development of low chilling apple variety and related interventions. Value addition to locally available foods, fruits, spice crops and vegetables such as pineapple, banana, kiwi, ginger, millets including cereals & pulses etc. Floriculture and its value chain development. Apiculture, honey processing and its value chain. 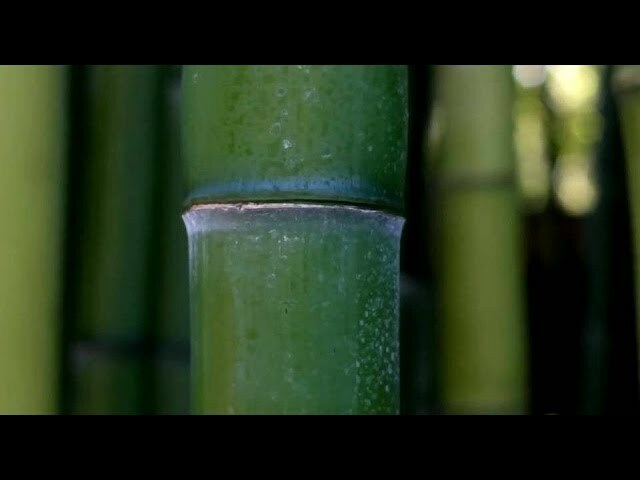 Introduction of edible varieties of bamboo in north-east states and introduction of modern bamboo charcoal making technology from bamboo waste and development of bamboo food products. Enterprise development for activities like floriculture, apple, apiculture etc. The MoU shall remain valid for a period of three years with effect from the date of execution and can be renewed further on terms and conditions mutually agreed upon. North Eastern Region Community Resource Management Society (NERCRMS) is a livelihood and rural development society under North Eastern Council, Govt. of India, Shillong (Meghalaya). MOU was signed by its MD, Dr. Shailendra Chaudhari, and Director of CSIR-IHBT Director, Dr Sanjay Kumar. CSIR- Institute of Himalayan Bioresource Technology, Palampur is a premier Institute working on Himalayan Bio-resources, and has a focused research mandate on bio-resources for catalyzing bio-economy in a sustainable manner through agro-technology, biotechnology, processing technologies, nanotechnology, bioinformatics, remote sensing and data digitization. Technology for commercial production of ready-to-eat ethnic food especially Kangra Dham (Rajma ka Madra,Taliye Dal,Khatta Chana,Raita(Mithri) etc. M/s Himalaya Natural & Herbal Products, Palampur launched “Green Coffee” on Monday the 9th April, 2018 with technology support of CSIR-Institute of Himalayan Bioresource Technology, Palampur. Green coffee is processed from fresh Arabica coffee-beans without undergoing the process of roasting. The coffee beans are processed under specific conditions to obtain homogenous particles which are rich in anti-oxidants and known to boost the metabolic system. The Him Pure Green Coffee is totally pure, free from any chemical or preservative, and has its natural flavor and colour. The company announced that on sale of each box, one rupee will be donated for helping mentally retarded children through Rotary Inner Wheel’s Home (Jammu & Kashmir) for Mentally Retarded Children. CSIR-IHBT, Palampur (H.P) signed Memorandum of Understanding with M/s Maa Danteshwari Herbal Product Ltd. Dist Bastar, Chhattisgarh for Stevia Cultivation in 10 acres in Village Konda Gaon, Dist Bastar, Chhattisgarh as per technical know-how of CSIR-IHBT. The activity will promote socio-economic development in this tribal area. Stevia plantation will be extended further by the M/s Maa Danteshwari Herbal Product Ltd. in new area after one year. 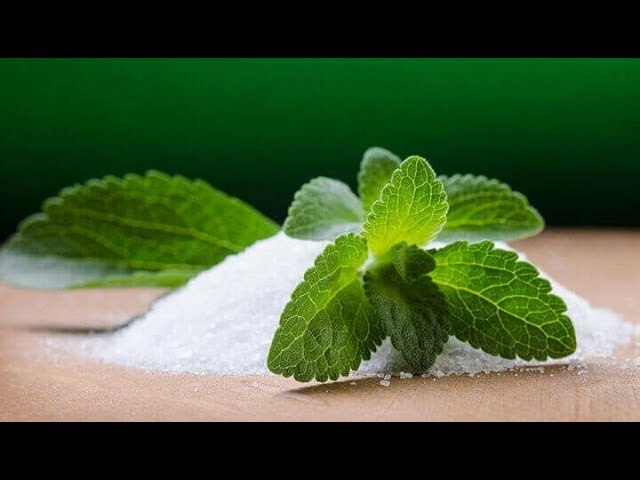 Steviol glycosides, which is extracted from stevia leaves, is 300 times sweeter than the sugar made from sugarcane. This is a natural sweetener and being used in medicines and has antibacterial activities. 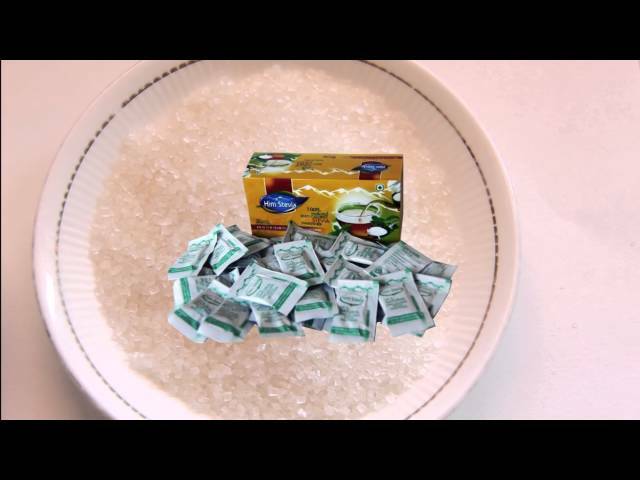 This natural sweetener is useful in preventing heart problems, diabetes, obesity and is being used by the food industries. In another MoU, CSIR-IHBT, Palampur (H.P) will provide guidance and technical know-how to M/s Maa Danteshwari Herbal Product Ltd for establishment of processing unit at site selected in Chhattisgarh and Maharashtra for extraction of steviol glycosides. CSIR-Institute of Himalayan Bioresource Technology, Palampur celebrated National Science Day with great enthusiasm on 28 Feb, 2018 to commemorate the discovery of the famous “Raman Effect” by Sir CV Raman, for which he was awarded the Nobel prize in physics in 1930. In order to generate curiosity and scientific instincts among children several activities and demonstrations on isolation of natural compounds, distillation of essential oil, plant tissue culture, microbial techniques, nanotechnology, plant identification, mapping, toxicity testing and insect rearing were organized. 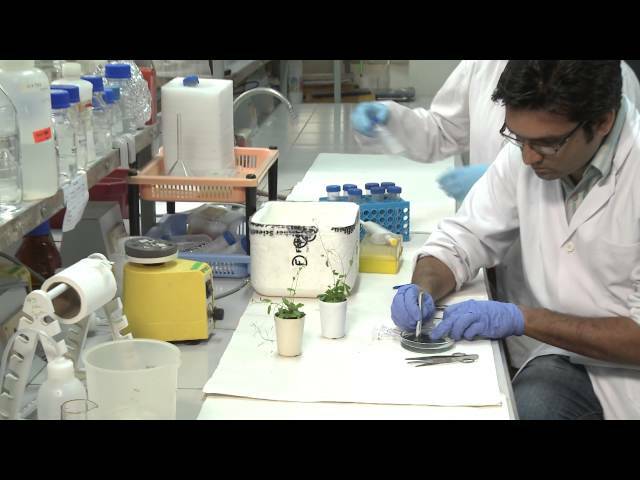 They were also educated on recent technologies like DNA barcoding, toxicity analysis, application of nanoscience, mass multiplication of plants, chemical profiling. The students got opportunities to visit and witness the functioning state-of-the-art equipments in the areas of chemical and biological sciences. The agrotechnologies for increasing income of the farmers, tea planters, floriculturists were also exhibited. On this open day about 600 students and faculty from different schools and colleges namely Govt. Senior Secondary Schools Khalet and Dehan, Jawahar Navodaya Vidyalaya Paprola, Jai Public School Banuri, Crescent Public School Banuri, Rainbow International School, Kendriya Vidyalaya Holta, Viveka Foundation Bhawarna, Anuradha Public School Maranda, Govt. College Dharamshala, Indian Agriculture Research Institute, New Delhi and children from Udaan Learning Center, Kandbari (NGO) visited the institute. 1. Paper entitled “Crocin attenuates kindling development and associated cognitive impairments in mice via inhibiting reactive oxygen species-mediated NF-κB activation” authored by Arindam G. Mazumder, Pallavi Sharma, Vikram Patial, Damanpreet Singh received Dr. Hardyal Award for best publication in the field of anti-inflammatory pharmacology. 2.Paper entitled “Dwindling of cardio damaging effect of isoproterenol byPunica granatum L. peel extract involve activation of nitric oxide-mediated Nrf2/ARE signaling pathway and apoptosis inhibition” authored by Mahesh Gupta, Pallavi Sharma, Arindam G. Mazumder, Vikram Patial, Damanpreet Singh* received Saroj V.N. Sharma award for best paper published in National or International journal in last 3 years on cardiovascular pharmacology. Institute organised Faculty Training and Motivation Programme for school teachers from 30th to 31st Jan, 2018. MoU signed with M/s Access India Impex Centre Pvt. Ltd., New DelhManufacturing/ processing of Nutri Bar products. MoU signed with M/s Dexter Retail and Distribution Pvt. 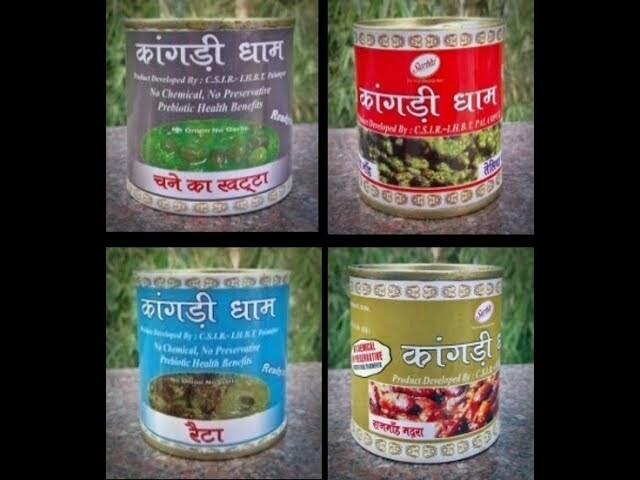 Ltd., New Delhi.for Ready to Eat Preservative free Khichri Product. 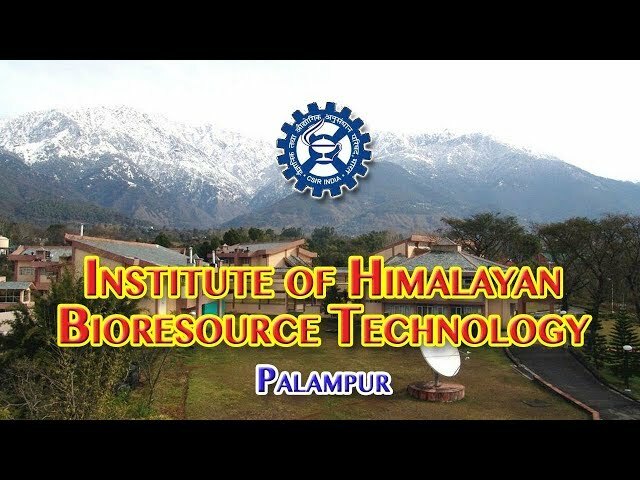 Institute of Himalayan Bioresource Technology, Palampur celebrated the 76th Foundation Day of its parent organization CSIR. While welcoming the guests Dr Sanjay Kumar, Director informed the august gathering that the institute channelized its efforts towards transfer of technology to the industry and for the upliftment of the society. Achievements of the year led the institute towards fulfillment of its mission of boosting bio-based economy and national competitiveness. The institute aligned itself with the Mission Mode projects of CSIR on “Mission Aroma” and “Skill Development Programme” to empower the youth of the nation. The institute also participated in the 'Fast track translation project' of CSIR with an aim to deliver products to the industry within a span of two years by “walking the last mile from lab to land”. Release of improved cultivars of gerbera and calla lilies, setting up of hydroponic and aeroponic facilities for cultivation of quality plant material, introducing apple in Mizoram - a state where this crop was never grown, introduction of quinoa and chia for the first time in the mid hills of western Himalayas, promoting the cultivation of floriculture and wild marigold, mechanization of tea farm operations were key achievements. Dr Sanjay informed that the institute also made major headway in the area of process and product development. A new process technology was developed for the preparation of natural and refreshing instant teas. An MoU was also signed with SDZ Cha Sarl, Mozambique for the transfer of tea wines production technology. Similarly, the process developed for scale-up of dry leaves of stevia was employed to process dry leaves for M/s Agri Natural India, Ludhiana. MTAs were also signed with M/s Himalaya Natural and Herbal Products, Palampur and M/s Svyam Agro, Indore for various technologies on stevia. He highlighted the canning technology for the production of 'ready-to-eat but preservatives/chemicals-free-foods’ and development of ‘Crispy Fruits’ by withdrawing water from fresh fruits but with original colour, texture, taste, aroma with added advantage of prolonged shelf-life and minimal nutritional loss would have huge impact in society and prevention of post harvest losses. Dr. S.S. Handa Ex-Director, Indian Institute of Integrative Medicine (CSIR-IIIM) was the chief guest of the function who delivered a lecture on MAPs-rich repository of health care products: challenges & opportunities, where he described the potential of bioresources for drug formulation, mechanism of action of various herbal drugs, development of affordable herbal drugs, development of fragrance in the plants and their application. Technical brochures on Agrotechnology of Stevia, a natural sweetener and Ginkgo bioloba, an important medicinal plant and a book on Track and Learn: Plants at IHBT Campus were released on the occasion. The IHBT employees who retired during the period of last two years were felicitated on the occasion. Mr Karan Bhalla from village Kural, Palampur (H.P.) was given CSIR Technology Adoption Award 2017 for promotion of commercial floriculture in the region. The programme was attended by school children from Dagoh, Kandwari and Deol; GGSD college students, and local dignitaries. The programme was inaugurated by Director, Dr. Sanjay Kumar at CSIR-IHBT. Shri Lalit Kumar Principal KV, Holta also addressed the students. Eminent scientist, Dr. O.P. Sharma delivered the keynote lecture that was attended by school students and others. During the week long programme, students of class XI will visit the state-of the art laboratories in the area of biotechnology, bioinformatics, natural product and synthetic chemistry, internationally recognised Herbarium, remote sensing and mapping facilities, animal house facility, pilot plants for nutraceuticals, essential oil and herbals. Extensive school level experiments have been specially designed by the scientists so that children learn by doing hands on training exposure to latest scientific techniques and functioning of scientific equipment. The idea is to excite young minds, nurture scientific instinct and develop scientific temperament among the students. CSIR-Institute of Himalayan Bioresource Technology, Palampur signed an agreement with M/s INDCOSERVE (The Tamilnadu Small Tea Growers Industrial Cooperative Tea Factories Federation Ltd., at Coonoor, Nilgiris, Tamil Nadu), on 30th June 2017 for transfer of technology for extraction of Catechins from tea leaves. Catechins are high value antioxidants responsible for numerous health benefits. 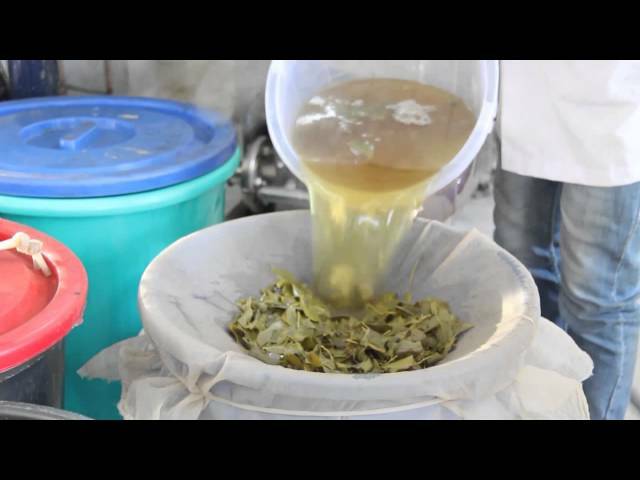 For extraction of one kg catechins, 40-50 kg fresh tea leaves required and its price in international market is Rs 12,000-15,000. Catechins are 7-9 times beneficial compared to commercial tea production. As per reports, global market for tea catechins is USD 200 million with an estimated CAGR (compound annual growth rate) of 7.4 % till 2020. It is pertinent to mention here that M/s INDCOSERVE has 16 Industrial Cooperative Tea Factories under regular production, catering to an area of 36,327 acres of 25,115 small tea growers with the main object to transform their socio-economic conditions as currently commercial tea processing in the region has been adversely affected due to poor marketing. The establishment of this enterprise will boost the economy of farmers involved in tea plantation in Coonoor area of Tamil Nadu. CSIR-IHBT technology of catechins production is a green and sustainable process. The Agreement was signed by Dr Sanjay Kumar, Director, CSIR-IHBT, Palampur and Shri Ambuj Sharma IAS Commissioner & Director of Industries and Commerce, Government of Tamil Nadu and Chairman & Managing Director INDCOSERVE, Coonoor (Pics). A Material Transfer Agreement (MTA) signed with M/s Madan Tissue Culture Lab, Alampur, Distt – Kangra (H.P.) for aseptic cultures of apple rootstocks, improved stevia variety HIMSTEVIA and ornamental flowers viz. Gerbera, Carnation and Lilium (19-Apr-17). Situated among pristine environs in the lap of Dhauladhar ranges, CSIR-IHBT has a focused research mandate for sustainable development of bioresources to enhance bioeconomy in the Himalayan region. The young and dynamic team of the scientists, the technicians and research scholars works dedicatedly to discover and find solutions to new challenging problems relevant to the society. National and international collaborations further strengthen scientific interactions at a global scale. Promoting industrial growth through technological interventions is a constant endeavor and several technologies developed by the institute are transferred to industries and generated employment opportunities. MoU signed with State Medicinal Plant Board (SMPB), Shimla, H.P. 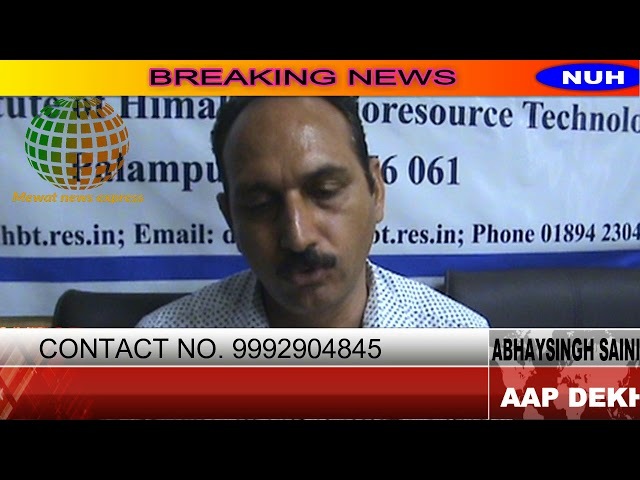 CSIR-IHBT, Palampur signed MoU with State Medicinal Plant Board (SMPB), Shimla, H.P. on 28th February, 2017 for establishment of high altitude rare and endangered medicinal plants nursery at Centre of High Altitude Biology (CeHAB) of CSIR-IHBT in Lahaul valley of district Lahaul- Spiti. The Gold medal was presented by the India Trade Promotion Organisation (ITPO) Chairman, Mr. L.C. Mittal.1. Also, CSIR-800: Societal Interventions received CSIR Platinum Award and Generics & Healthcare bagged CSIR Gold Award. CSIR-IHBT actively participated in both the sections. The Technofest kicked-off on November 14 and each day was dedicated to different themes on various technologies, innovation and products developed by the CSIR laboratories. A total of 14 theme-based pavilions were set up in the Technofest. Beginning with the theme of ‘Aerospace & Strategic sector’, the event witnessed other theme-based activities focusing on ‘Generics & Healthcare’, ‘Engineering & Infrastructure’, ‘Energy’ and ‘Leather’, Mining, Minerals & Materials, Chemicals & Petrochemicals, ‘Ecology & Environment’, ‘Water’, ‘Agriculture & Floriculture’, ‘Food & Nutrition’, ‘CSIR for Societal Interventions’, CSIR 800 and IP and Entrepreneurship. CSIR Pavilion won Gold Medal in the Ministries and Department categories at India International Trade Fair ITF 2016. CSIR-IHBT celebrated the International Yoga Day with great enthusiasm. A yoga expert, Ms. Ruchika Chauhan from Himalayan Research Institute for Yoga and Naturopathy (KAYAKALP) Palampur was invited as the resource person. She briefly highlighted the benefits of yoga in context to the present day life style. Thereafter, she held a practical session of one and half hour and demonstrated various asanas, wherein staff and students participated. She also addressed to several queries raised by the participants. Everybody felt relaxed and energetic after the session. The programme was organised in the conference hall and telecasted live in the lobby and corridor for greater participation.